Joint pains are often a part and parcel of ageing. They can occur in the younger generation as well due to trauma from accidents or due to some diseases such as arthritis. Living with the pain and discomfort can be tough, especially when it interferes with the mobility and everyday life activities. Joint replacement surgery is done when other methods of treatment for curing joint pain and restoring full mobility does not find success. The procedure involves replacing the affected joints with an artificial prosthesis designed to mimic the functions and capabilities of the natural joint. 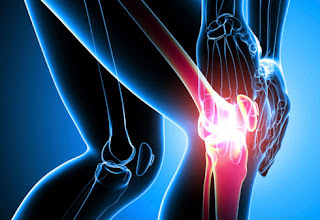 The procedure of joint replacement is usually performed to correct irregularities on joints like knees, shoulder, hips, ankles, elbows and fingers. The orthopaedic surgery helps in eliminating pain and restoring motion with the flexibility of the artificial joint. The procedure of joint replacement involves the replacement of the damaged joints by artificial prosthesis made of materials such as plastic or inert metals. These are non-reactive and hence do not cause infections. The prosthesis is either cemented or uncemented depending on the age of the patient. In case of younger people, the joints are left uncemented to enable the bones to grow into it, fixing it in place while in the older generation, they are cemented in place. With the development in technology, joint replacements have been simplified with minimally invasive procedures of arthroscopy.A pioneer in joint replacement and arthroscopy, Dr SS Soni, is one of the best orthopaedic surgeons in Jaipur.